GGP are proud to be supporting British Steel with Civil and Structural engineering consultancy on the rod mill investment. We have been established since 1994 and have witnessed many changes within the industry. 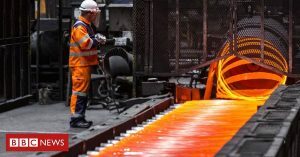 This investment has such a huge positive effect; not only on securing work for employees of British Steel but other organisations , including our 75 strong team.